Posted on March 20, 2018 at 6:53 am. When the temperature in Granbury, TX gets hotter in summer, nothing beats the comfort given by your air conditioning units. But, will you still feel comfortable when you see piles of energy bills on the table waiting for your attention? Of course not! Do not settle with high energy consumption when you can make big changes in your savings. 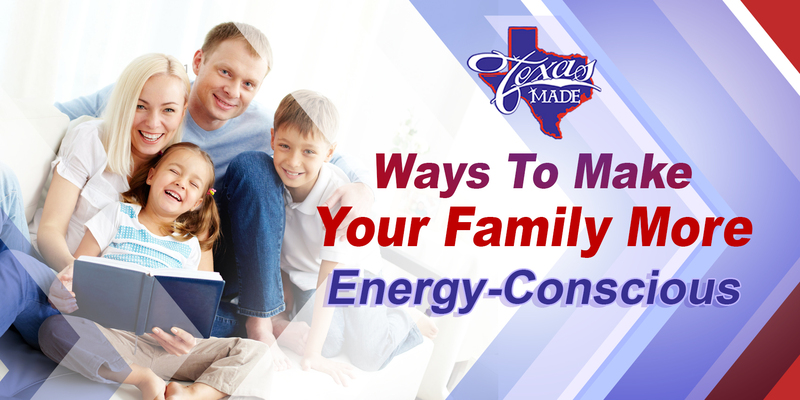 Here are some ways that you can make your family more energy-conscious in the days to come. Tell them about your utility bill. Be sure to discuss your monthly consumption with the members of the family. After all, the energy bill is everyone’s concern, even if it is only you who pays it. This makes them realize the cost of wasted energy and too high consumption which they tend to ignore before. Brainstorm ideas on how to reduce it or challenge the family for small lifestyle changes that can greatly help in cutting down your utility costs. Schedule a day off for your electricity usage. Picking a day where you will be switching all electrical appliances off in the house is a smart idea. Instead of staying on each individual room while staring at the screens all day, use the day to rebuild your relationship and create fun memories with your family. Grill outside, play board games and cards, plan a picnic, or visit new places to get some fresh air. Make an effort to do this at least once a week to save on your energy usage and connect with your family. Your old-school thermostat contributes to the dramatic hike of your energy bill. Before the hottest days arrive, shift to a programmable one and teach your family on how to use it. Programmable thermostats are best in giving your home a stable temperature. You will surely get the most of your comfort and savings when everyone learns to program it properly. The responsibility of reducing your energy usage is not yours alone. Expect great results when all the people who dwell in the house join you in your goal. If you find your energy bill continuously increasing above all your lifestyle changes and saving techniques, call the professionals at Texas Made Air Conditioning and Heating. You may need a whole-home inspection or an HVAC system maintenance check. All of which we are good at. Give us a ring!